Official plan of the day: Today we’ll focus on the era when the city was known as Constantinople, the eastern capital of the Roman Empire. 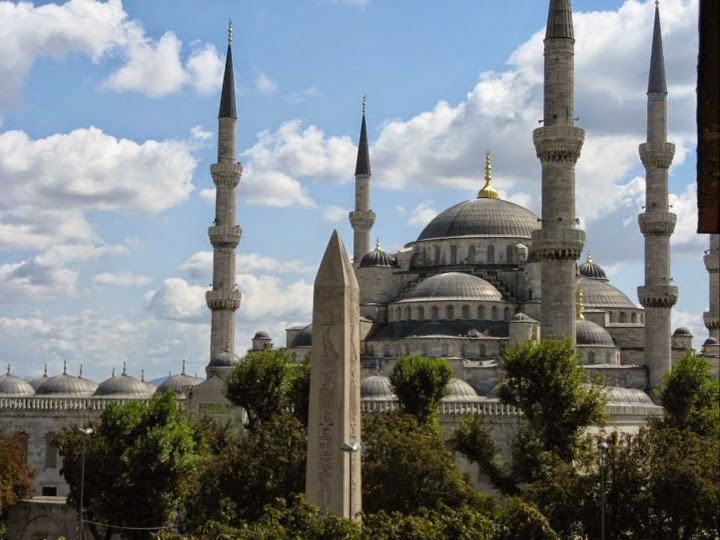 We’ll start at the exquisite 400-year-old Blue Mosque and then move to the Hippodrome — the ancient racing course that was the social heart of Constantinople. 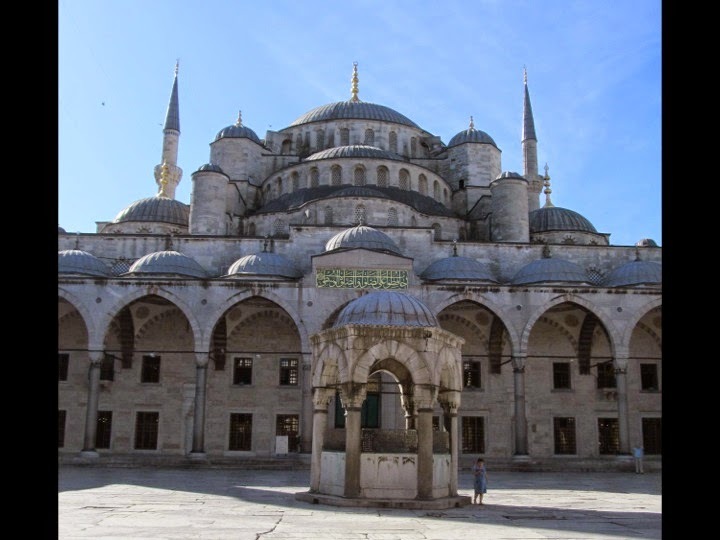 We’ll also visit the 1,500-year-old Hagia Sophia church/museum — for 1,000 years the grandest domed structure in the Western world. 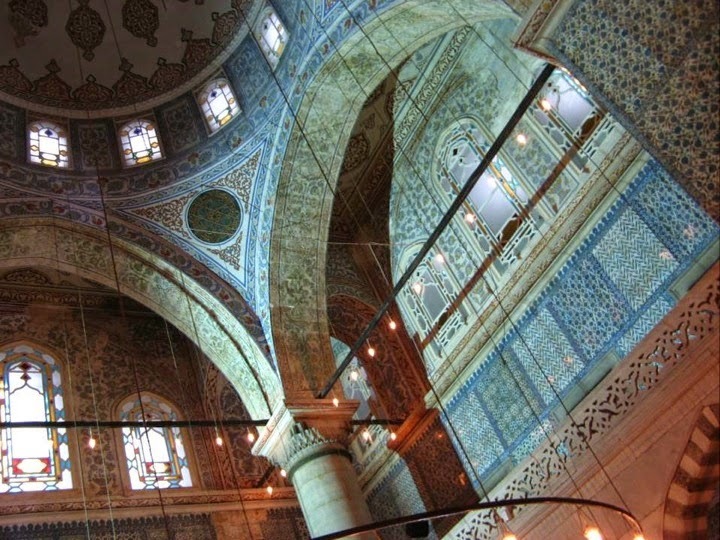 This afternoon we’ll be wowed by some of the world’s finest Byzantine mosaics at the Chora Church and cap off the day exploring Istanbul’s legendary Grand Bazaar. No bus. Walking: strenuous. Following lines were written by Cary Walker, a lead guide and guidebook researcher. Cary is a former teacher, she believes that Europe is the best classroom for those who travel with an open mind. When not on the road, she lives in Dallas planning her next adventure. 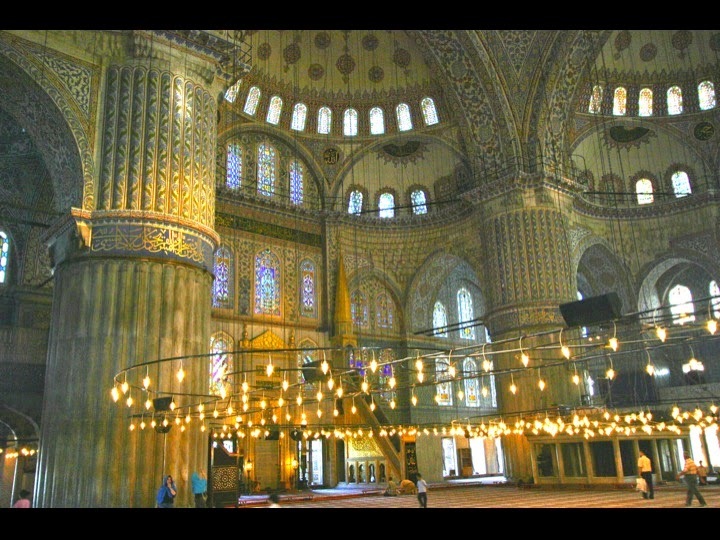 We visited the Blue Mosque today. It was strange covering my head and taking off my shoes , but I followed the protocol just like everyone else. Once we entered, I was taken by the carpets, beautiful blue tiles, and low hanging chandelier. Our guide, Mert, had us gather in the back corner so he could explain the basic tenants of Islam. I was fascinated by his stories and saddened by the fact that most Islamic people are misunderstood back home. Our media makes us think that every person of Islam is part of some terrorist organization and that simply isn’t true. 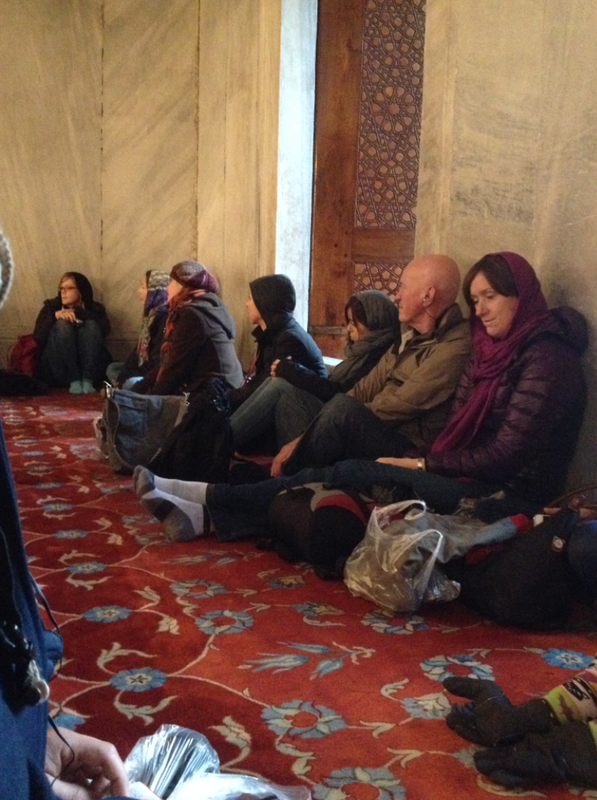 Before we exited the mosque, a lady from Iran inquired about our visit and asked if she could pray for our group. She recited the first few verses of the Quran as tears streamed down my face. I can think of few Christians back home (including myself) that would do something so bold in the name of God. Now that I’ve put a human face to people of Islam my prospective has completely changed. Travel changes you and I have no doubt this tour is going to be life changing in more ways than I can imagine.